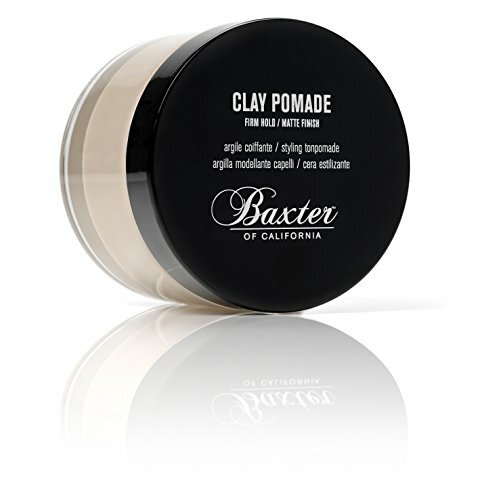 Hair does exactly what you want it to with this matte-finish balm that separates, defines and molds styles. Infused with natural ingredients such as clay and beeswax, the texturizing formula lets you manipulate and retool hair looks for added styling versatility as it creates a strong, pliable hold. Usage: Put a fingernail-sized amount into the palm of your hand and rub palms together to warm and emulsify the pomade. Apply evenly throughout damp or dry hair with fingertips. Apply product to wet hair for a wet-look finish, or to dry hair for a natural look with less definition. Use more product for increased hold and style. Run a comb through hair for a more finished look. If you have any questions about this product by Baxter of California, contact us by completing and submitting the form below. If you are looking for a specif part number, please include it with your message.